- Definite MAFIA links proven with the Green Movement in Europe. Anti-mafia investigators in Italy have made their largest confiscation of assets to date: â‚¬1.3bn (Â£1.1bn) worth of property, cash and alternative energy companies owned by a man known as the "king of wind". In a decision hailed by Italy's anti-mafia police chief as unprecedented, a court in Sicily ordered the definitive confiscation of assets first seized and frozen in September 2010 from Vito Nicastri, 57, a former electrician and businessman believed to have close ties with the Cosa Nostra. Among the assets were 43 companies, 98 properties, 66 bank accounts, credit cards, investment funds, cars and boats. Most were located in Sicily and in Calabria, the southern region of Italy that is home to the 'Ndrangheta criminal organisation, but the investigation also reached northern Lombardy and Rome. Investigators said Nicastri, who made his name as an alternative energy entrepreneur, had "high-level" contacts in the mafia and invested money made from criminal activities. "This is a sector in which money can easily be laundered," Arturo de Felice, head of Italy's anti-mafia agency, told SkyTG24. In separate comments, De Felice described the confiscation of the assets as "unprecedented". 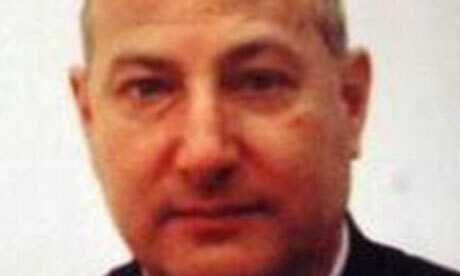 Police said Nicastri had close ties to Matteo Messina Denaro, a Cosa Nostra kingpin who has been on the run since the early 1990s. "Matteo Messina Denaro is behind many businessmen considered above suspicion who manage and take care of the assets of the real boss of Cosa Nostra," tweeted Ivan Lo Bello, vice-president of business lobby Confindustria. "The fight against money laundering is fundamental to the crushing of the mafia." Italian police said the confiscation of assets would impact "in a significant way" on the economic power of Messina Denaro. "We are talking about productive businesses, which will now go to the state; in this particular economic context that we are living in, it's not to be sniffed at," said De Felice.